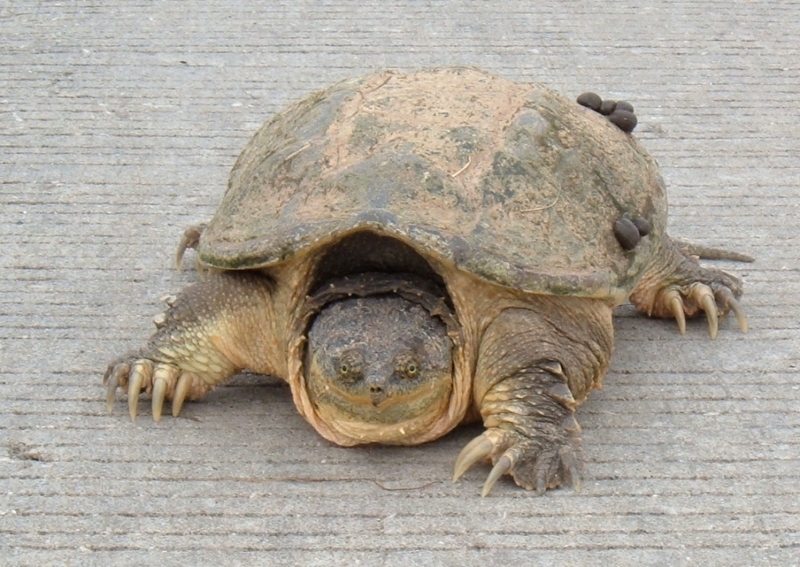 Common Snapping Turtles are quite different from the peaceful, calm turtles we know. They are ferocious predators that eat everything that crosses their path, even young alligators. In the past, these animals were used in crime investigation – the Snapper was put into a lake to find a dead body, when the turtle stopped, it meant that the body had been found and the animal wanted to eat it. These massive turtles, reaching a total body length of up to 80 cm and a body mass of 25 kg live in shallow freshwater, most usually ponds and lakes in territories ranging from Southern Canada to as far south as Ecuador. Their appearance is not very spectacular, with gray to brown shell and grayish green skin, they look like an ordinary turtle. What should be noted are their massive jaws – toothless, but hard and sharp like a knife, moved by extremely strong muscles, able even to bite off a human arm. They spend most of their time in the water, swimming quite deep below the surface. On land they’re slow and not very agile. In the northern parts of their habitation, the Snapping Turtles hibernate under the ice during the winter, although sometimes they remain active even while under the ice. Unlike many of its relatives, the Snapper is quite aggressive and can be very dangerous is provoked, attacking with the sharp jaws and biting chunks out of the victim’s body. Common Snapping Turtles hunt on all small animals, including fish, frogs, snakes, alligator babies, birds and a variety of water mammals. They recklessly charge the prey and try to rip it apart with the strong jaws. Larger creatures are torn apart, using the turtle’s sharp claws, while the smaller ones are swallowed whole. They also eat carrion and the water basins in the Snapper’s territory will always be clear of dead animals. 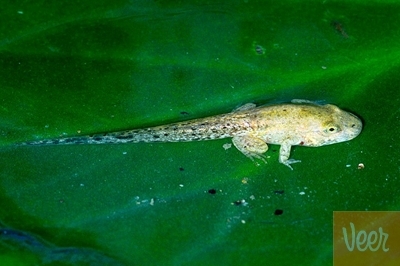 As for mating, the copulation usually occurs inside water, usually late in the summer. A hole for the eggs has been dug a few months earlier, and after mating, the female lays about 24 eggs and covers the hole with soil, leaving the eggs on their own for two to three months. If laid very late, the eggs will only hatch the next year. Upon hatching, the young turtles quickly go to nearest water basin and lead a rather cautious life for the first few years, covering in a shelter and avoiding predators. 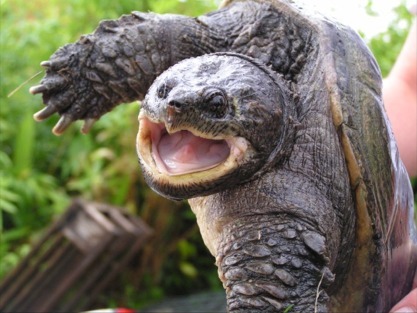 Currently, Common Snapping Turtles are not endangered, but their number is on a decline, as more and more of them are being hunted for sport and turtle soup. Hopefully, the American people will take example from Thailand, where turtles are sacred animals that live in temples.